In Insurgent the chemistry between Tris and Four is not as good as in the first book. 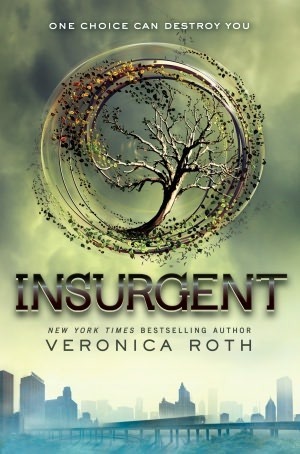 As expected in Insurgent the plot gets more and more complicated by every page turned. This leads the characters to hide secrets from one another and not trust each other. I was a little disappointed by this. I love Tris and Four together and witnessing their relationship shaken by all the events occurring in the book hurt. This doesn't mean Insurgent wasn't as good as Divergent. It was excellent in its own way. Where Insurgent lacked in romance it compensated in action and twisted secrets that readers won't see coming in a million years. I didn't know who Tris could trust. Reading Insurgent was definitely an adrenaline rush. At the end I was very satisfied. I waited 1 year for Insurgent and I'm glad that wait was not in vain. The ending of Insurgent was shocking. I have no idea what's going to happen in the third installment and I can't wait for its release! !